Dreams can also be about objects, people, or situations we have never encountered before. They can be so vivid that it’s impossible to think they don’t carry a deeper, hidden meaning. In many ways, we as humankind have always been fascinated by our dreams. So, what about dream walking? Is it ethical to do so? Should we really enter the dream of someone else, leaving them to wonder what it meant? What are the ramifications of doing so? And if you decide you want to try dream walking for yourself, where do you start? 1 What Is Dream Walking? Dream walking is when someone who has honed their abilities and skills decides to enter someone else’s dream. They can communicate with them and manipulate the surroundings and occurrences that happen in their dream world. This allows the person doing the dream walking to interact with the dreamer while they are asleep. It allows you to have a conversation and be reunited with someone who is physically far away, or spend time together in the spiritual realm. Many people often confuse dream walking with astral projection. So, what is the difference between dream walking and astral projection? Well, both have mystified us as humans form the beginning of time. Dreams have been the inspiration of many defining events throughout history. 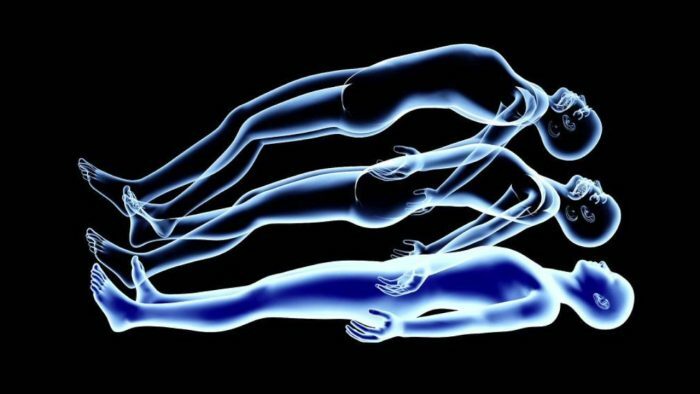 Astral projection has been referred to as when the soul leaves the body and then travels to other realms in time and space. So, are these two phenomena mutually exclusive, or are they able to occupy the same space by intersecting? Some don’t think do. This is because dreaming is something that happens within our minds. These supposedly random pictures are brought up through our cortex, and we see them play our while we are unconscious. Related: Precognitive and Clairvoyant Dreams – What Do They Mean? In contrast, in the case of astral projection, the soul departs from the body. It investigates other places. Some note that vastly different experiences happen in each phenomenon. Astral projection, for example, can result in hyper awareness, while the elements of dream walking can be confusing and murky. Of course, while each phenomenon can appear to have distinct differences, there are always exceptions to any rule. Some psychic dreams, especially those that are lucid dreaming, can be exciting and vivid. On the other hand, out of body experiences can involve dream-like aspects and confusion. The interesting aspect is that this idea of the dreaming soul or mind has the ability to exit the body through lucid dreams. Now that you know the difference between dream walking and astral projection, it’s time to ask yourself if you want to be dream walking. Why are you looking to do it? If your reason is good, ethical, and justified, then there is nothing wrong with choosing to walk the dreams of another. However, if you are breaching someone else’s privacy, doing it for malicious reasons, or otherwise doing something that you know deep down is wrong, then it’s best not to dream walk. Trust your own judgement in this! First, you need to state a clear purpose. This can be through planning a ritual to go along with your attempt, or by meditating and focusing the energy needed. A clear understanding and focus will help you immensely in accomplishing your goals. Seek out a sacred place to go through the process uninterrupted. Let the person whose dreams you are trying to occupy enter your thoughts. Remember that your efforts will have a much higher chance of success if they are in on this plan. If you are able to synchronize the timing, there will be a level of focus with increased meaning. This also allows you to fact check after the process is over. If they don’t remember it, then you have a lot more practice to do. Meditate with their face, using a photo or your mind’s eye. Put yourself in their point of view and think about their feelings without imposing your own thoughts. Align yourself with the energy they have, so that you can build a psychic bridge. Lucid dreaming allows you to be aware that you are dreaming. When you do this in your own dreams, then you are able to consciously enter another person’s dream. By saying his/her name or focusing on a familiar portal that holds meaning to them, you can enter their dreams. Are you ready to start walking the dreams of another? Especially when you’re just starting, it’s much easier to communicate with another person and try to work on dream walking together. This helps to build trust between the two of you, and open both of you up to each other’s dreams. This way, you can also talk about the details of your dream to confirm that you really were in one another’s dreams.